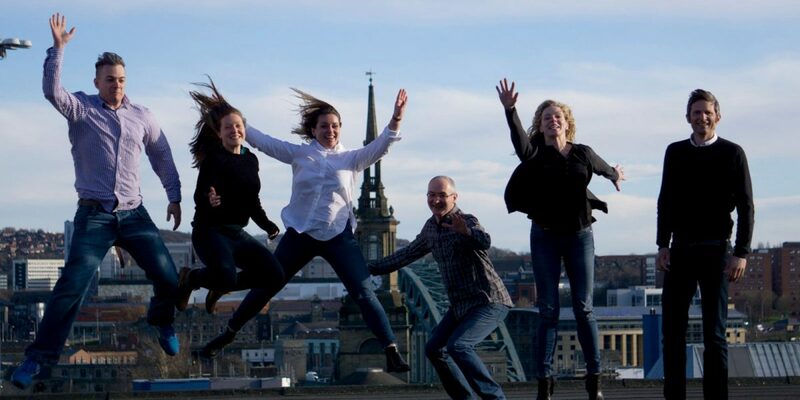 We caught up with Paula Donnelly at GoRaise – a platform which makes giving back to a charity of your choice as easy as adding to your shopping basket – and talked all things North East Tech scene. GoRaise has been a member since 2017 and since then it’s seen a lot of changes not only to Digital Union but to the tech scene as a whole. Paula explains: “We first joined Digital Union to make connections with more businesses that could use our services and to basically get the message across that GoRaise isn’t just for personal purchases but for business ones as well. “What we have found is that Digital Union offers a lot more! From its workshops and masterclasses to the Thinking Digital Conference that we were able to attend via the Union. These events aren’t just great for networking but are so good for improving your skill set too. When quizzed about the tech scene here in the North East, Paula believed her views may be a little skewed with GoRaise is based in Campus North but was hopeful that it was the same around the region, “Campus North is amazingly collaborative, I can’t say if that’s the same for the wider region but I imagine it is as everyone is so friendly here, it feels like everyone has your back. Whether you need advice or an introduction there’s an attitude of no job is too big. And if businesses were to set up shop in the North East, what would compel them to do so? “Cost! Not just the cost of office rent but also the cost of hiring incredibly talented people, and indeed living expenses. “We also have great transport links here, including an award-winning international airport so if you actually work out the cost of running a business in the capital for example, against running one in the North East and having to travel a bit – it really is a no-brainer. You can find our more about GoRaise here. That collaboration aspect is definitely present within Digital Union. The number of introductions that have been made through the team has been fantastic. It’s not just at networking events either, the emails and calls we have received from other members has been genuinely heart-warming.